If you still have a strong reverence for the beautiful flowers and hearts made on your latte in your favorite coffee shop, this is the time you need to look ahead. Some more interesting things are there that can multiply your penchant for coffee. 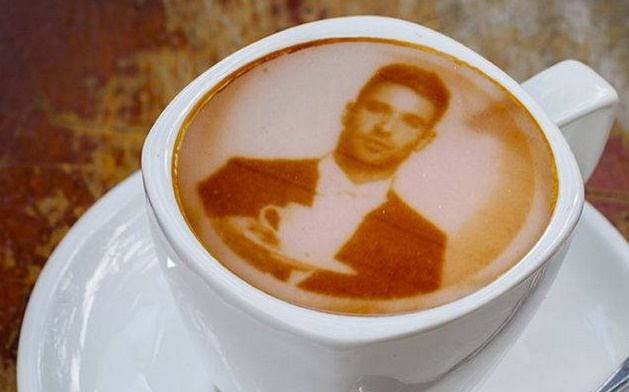 There is a coffee printer called Ripple which has an amazing capability of imprinting portraits and beautiful pictures on your coffee. Now before you make plans of buying it, let me disappoint you a little bit. The price of Ripple coffee printer is $1000 with an option of $75 subscription per month and most importantly it won’t be able to brew your coffee with it. All it does is decorate the coffee with beautiful customized images, So definitely, the coffee printer is not for home use. Ripples coffee printer can make customized coffee art on your coffee. Ripples use special caffeinated cartridges which contain natural coffee extracts. Ripples coffee printer will implement 3D and inkjet printing technology and imprint realistic arts on the foamed milk. There will be a dedicated app for this through which users can customize their own images and place their orders. They can even request to imprint photos already stored in their smartphone.